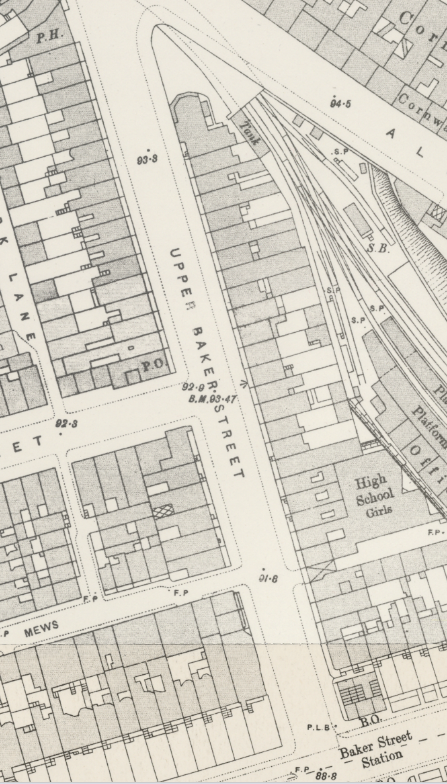 Holmes’ smile broadened, “The game’s afoot, Watson. We’ll start by visiting the flat Abigail apparently called home, I should think." ​Click on the Read More link to find out what happened. Museum visitors will learn how Sherlock Holmes, a scientific expert ahead of his time, used seemingly trivial observations of clues others missed to solve some of his era’s most mysterious crimes. His practices and techniques, created in the mind of doctor-turned-author Conan Doyle, changed the way police work was conducted and remain in practice today. 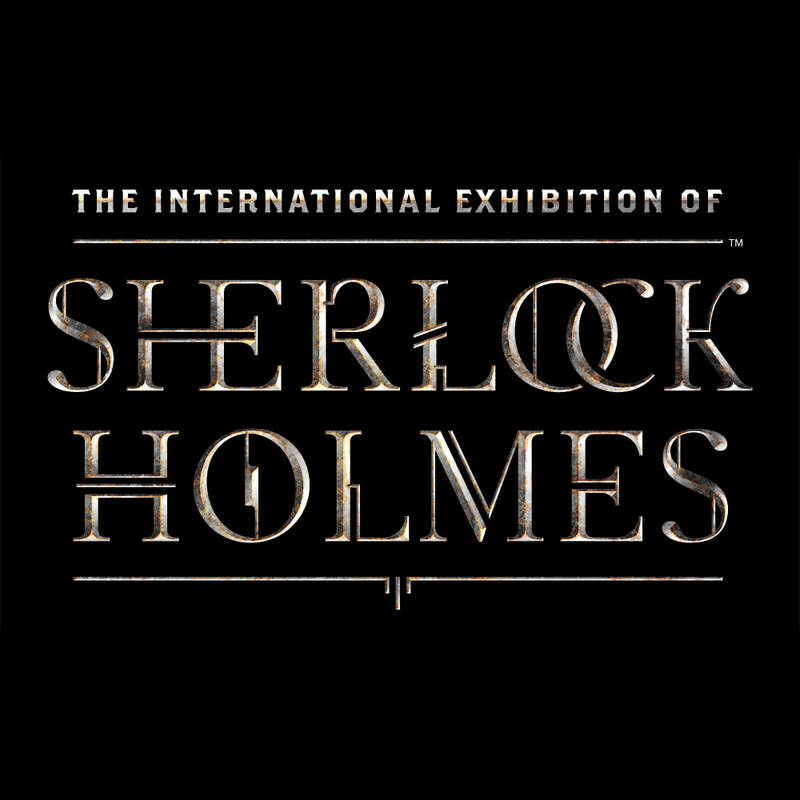 The International Exhibition of Sherlock Holmes features original manuscripts and period artifacts, investigative tools influenced and used by Sherlock Holmes, and interactive crime-solving opportunities. Guests will be transported into Sherlock Holmes’ London to solve a crime in a world filled with innovation and experimentation–and just receiving its introduction to his ground-breaking methods. ​The exhibition is brought to the Houston Museum of Natural Science as the result of a unique arts partnership between Exhibits Development Group (EDG); Geoffrey M. Curley + Associates; Conan Doyle Estate Ltd.; and the Oregon Museum of Science and Industry. Local support provided by the John P. McGovern Foundation. For a number of years Osprey's Field of Glory (FOG) was a popular ancient and medieval wargaming rule set, here in Houston and throughout the Gulf Coast region. In recent years, however, that rule system has been replaced in favor by a more streamlined system more akin to DBM called L'Art de la Guerre (ADLG). On March 24th and April 22nd, 2018, we brought L'Art de la Guerre to the Museum's Knights exhibit, setting up two games on the third floor, not far from the entrance to the exhibit. I ran a 15mm recreation of the Battle of Stoke, the 1487 battle that truly ended the War of the Roses, when Yorkist rebels, led by Francis Viscount Lovell and John, Earl of Lincoln, challenged and lost to the army of King Henry the VII, led by John, Earl of Oxford. Eric and Daniel were there in support and we were able to play through a few games and explain to the visiting public what we were about. We were even able to enlist some young people into playing a few turns. Matt and Mike were also present for both events, happily setting up and playing 15mm battles between Teutonic Knights and a Medieval Polish army, re-fighting the Battle of Grunwald (Tannenberg) at various scales. The two days proved very enjoyable and successful, particularly when we were able to improve the lighting on the third floor, which is normally purposely kept subdued. Support from the Museum technical staff was crucial and very welcome to achieve this improved level of lighting. It's great to have the positive relationship we have with the Museum and its staff. We're all really looking forward to more collaborative events. Want to learn more about the game system and see our photos from the event, then please click on Read More. 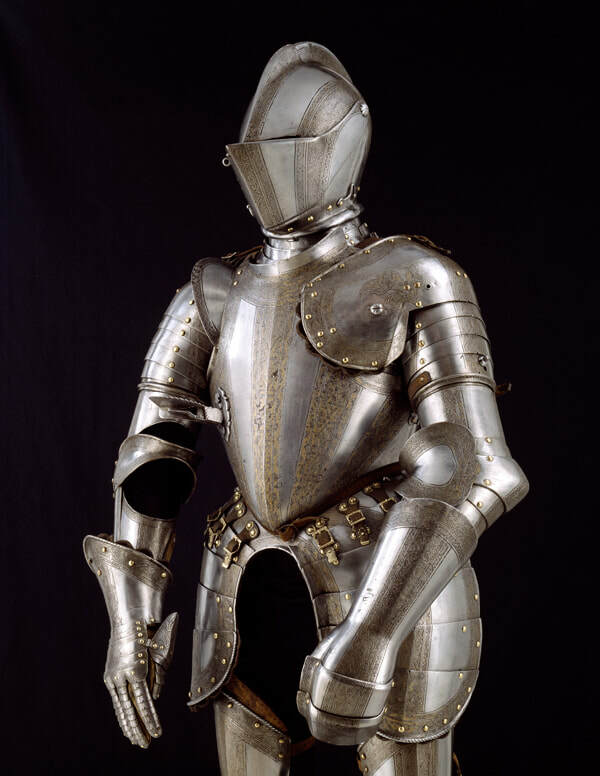 Chivalry and duty are bound together by the masterpieces of European arms and armors, dating from the Medieval and Renaissance ages to the romanticized ‘Medieval’ of the 1800’s. In the Middle Ages, knighthood was closely linked with horsemanship (and especially the joust) from its origins in the 12th century until its finest hour as a fashion among the high nobility in the 15th century. The provocative beauty and exquisite craftsmanship of the objects reveal the figure of the knight, his code of chivalry and his battlefield role. Included are full suits of armor, helmets, corselets, shields, swords and other weaponry. The exhibit explores the themes of love and war, jousts and tournaments, and the historical context in which the objects were made and used. Included is a still-life (Natura Morta) armor installation – a presentation invented by Frederick Stibbert (1826-1906). This exhibition was organized by Contemporanea Progetti in collaboration with the Museo Stibbert, Florence, Italy. Local support provided by The Hamill Foundation. In the summer of 2017 we organized and ran two events in the Museum in support of their special exhibit, "Gladiators: Heroes of the Colosseum". ​Want to learn more about the game system and see our photos from the event, then please click on Read More. Gladiator combat has evolved into one of the defining symbols of ancient Roman culture. Immortalized by films, gladiators locked in mortal combat for the entertainment of the crowds in Rome’s Colosseum are larger-than-life figures in our mind. However, what went on behind the scenes? The exhibit, Gladiators: Heroes of the Colosseum, provides answers in two arenas: that of the gladiators and that of the Colosseum. The exhibit takes us through time and through the Roman Empire. Featuring original artifacts from the Colosseum never before exhibited outside of Italy, this large international exhibit illustrates the compelling and fascinating world of the gladiators. This exhibit also explores the behind-the-scenes lives of the gladiators and the colossal stage upon which their fate was determined, the Colosseum. Theirs was a world of specialized training, discipline, regulation, and peril, but also of hope of fame, redemption and even wealth and freedom. 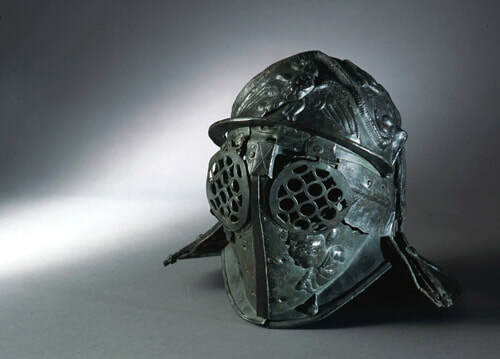 Original armor and related archaeological artifacts from the Colosseum and other Italian museums are included. Organized by Contemporanea Progetti, srl and Expona in collaboration with the Colosseum, Rome. Local support provided by HMW Entertainment and The Hamill Foundation. The Wargame At The Museum initiative describes our ongoing informal partnership with the Houston Museum of Natural Science (HMNS). From time to time the Museum features exhibits that we feel fit well with a wargaming genre. We endeavor to setup, demonstrate, and even teach complimentary wargames near these exhibits, with the goal of educating the visiting public about the related prototypical conflict and, at the same time, promote the wargaming hobby in general and our club in particular.